Visit the highlights of Hanoi on this private half-day sightseeing tour. 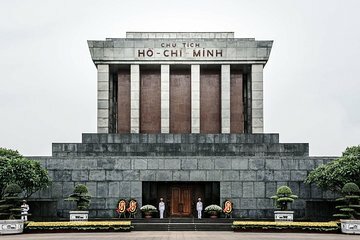 The itinerary includes stops at Ba Dinh Square, Ho Chi Minh Mausoleum, the Presidential Palace, the One Pillar Pagoda, and the Temple of Literature. Plus, see Vietnam’s first university, Quoc Tu Giam, which is known for its gardens and architecture. Children from 0 - 3 will get a free purchase.